Did you know that there are chances of getting property crimes increased during winter? You must be thinking that the cold weather would prevent criminals, but as per The Influence of the Seasons on the Crime Rate, theft rates increase during the winter season. This could also be an output of shorter days that give thieves extra time to roam around your house. It doesn’t matter what the case might be, the owner of property need to take more precautions when it comes to security in the winter season. 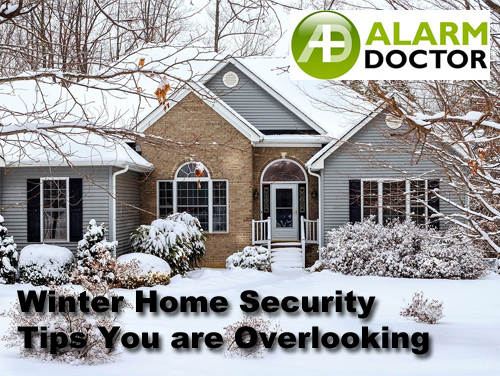 Hence, we have a list of Top 3 Home Security Practices owners often overlook during winters. Piled up packages, mails or newspapers in your home porch. The absence of activity in your property or lights. While planning for leaving for a long period of time during the winter, ensure your home look as if it’s occupied. Ask or call trusted neighbors to collect your parcels, mails as well as to hire someone in order to shovel your walkway and driveway. Also, invest in an alarm system in order to monitor your property which will alert you in the case of a break-in. Smart lights: These small light devices allow the consumer to control the lights inside as well as outside your property, via a smartphone of yours. Floodlights: These lights can be used in areas that are darker or extra spacious. They are equipped really well to illuminate large areas such as your home front or backyard. Motion-activated lights: These lights get turned on each time there is a detection of movement. This will alert you about the movement in your home and will also act as prevention to intruders. It seems obvious to lock all the doors and windows before you sleep or leave your home. 34% of thieves enter the homes via the front door, which specifies an overlooked practice for home security. The property owners who forget most of the times to lock their property doors should consider the installation of smart locks. These are the devices that eliminate the key requirement and give the homeowner the ability to lock and unlock the home using a Smartphone. Isn’t this practice convenient to use especially when you are in hurry all the time? So, do you have any tips to share? We would love to know in the comments.